To expect ZANU (PF) to effectively render itself redundant is for me naïve and stupid. Ask ZANU and ZAPU, they had exactly the same experience with Ian Smith’s prevarication on political reforms until they decided that enough was enough.In 2013 before the July elections, I asked the question- what if ZANU (PF) wins. It turns out that I was unintentionally correct and the sad reality is that our opposition political parties had not even considered that scenario in their strategies. They never had an alternative plan. As a result they were subsequently paralysed by the shocking result and up to this day, we have all suffered for their inability to consider and plan for all probable outcomes. My greatest fear is that history may repeat itself once more come 2018. The most dangerous assumption we can make again is that ZANU (PF) will have implemented all the reforms that we want before the next elections and that we will all go to free and fair elections that will finally reflect the unadulterated will of the people of Zimbabwe. That will is obvious-it is outright discharge of ZANU (PF) from government through a majority vote by citizens against the tyranny which we have all reluctantly stomached since 2000. We are assuming that we shall then have a new President and a new legitimate political leadership which can begin to build a multi-party democratic state underpinned by inclusive coalition politics and developmental economics. What if we are wrong again? Given the current shenanigans within ZANU (PF), I have no doubt that much is going to change in its form between now and the next elections. However, the crux of the matter is whether the nature of this beast will change enough for it to accept electoral defeat through a fair transparent electoral process that it voluntarily implements? I doubt that very much. The economy is of course the major issue. It is speaking on our behalf and reflecting the reality that without fundamental political change, the country faces severe deterioration in the quality of life of most citizens. But whether this will be adequate enough to get ZANU (PF) to effectively surrender political power through the ballot box remains very doubtful given our experience with them to date. We all know that the major challenge that decimated Ian Smith rule was the economy where the then Rhodesia became economically isolated and pressure was put to bear especially by South Africa which was propping up the Smith regime. In addition, of course, was the raging bush war which created a continuous danger and risk to the Smith regime. However the geopolitical conditions that existed then are significantly different now in that the international community, including Africa, do not view our current government as a rogue government. In fact, we have seen the international community re-engage the government indicating a belief in those circles that ZANU (PF) remains a politically legitimate and acceptable option for the immediate future. Without severe international pressure on Zimbabwe to change its political systems, especially from the rest of Africa and within the region, it is highly unlikely that we will achieve any fundamental change in our politics. We are on our own. This makes our situation very difficult and inadvertently strengthens ZANU (PF) to the detriment of creating a new Zimbabwe that is significantly different from that of ZANU (PF) total hegemony. So although the country has become economically weak, and this will worsen in 2016 and towards 2018, I am not confident that we can achieve any fundamental or significant political change by relying on economics alone. As long as there is no increased international pressure for democratic change and the implementation of reforms in Zimbabwe, we will continue to muddle through to 2018. I have no doubt that ZANU (PF) is well aware that the implementation of reforms will be its undoing. It will therefore do all it can to delay and postpone any significant reforms which would disadvantage its continued hold on power. That is the reality which we must deal with now before it is too late. In my opinion, without significant action by citizens to cause fundamental political change in Zimbabwe, it is highly likely that come 2018, we will, once again, have a stolen election because there is no other way that ZANU (PF) can continue to be in power legitimately. As we speak now Zimbabwe’s formal economy has collapsed and has been replaced by the informal economy that is survivalist and a secret economy that is elitist. The latter is characterised by short term corrupt transactions that continue to feed the predatory cabal and a political elite. As long as the army, the police and the intelligence services are paid their salaries, as has happened recently in December, ZANU (PF) believes that it is well protected against any eventuality of a mass uprising spurred on by the declining economic and social conditions. This thinking is also reflected in their most recent budget allocations to defence, security and intelligence services which they hope will remain somewhat insulated from non-payment of salaries unlike civil servants whose future remains precarious. The questions we must now face as citizens who desperately want and need political change are; what options do we really have to do to cause political change in Zimbabwe? What is it that will ensure that come 2018 we have free and fair elections so that we may democratically and peacefully dismiss the dictatorship and create an inclusive democratic coalition government that revives the economy and begins to rebuild the morals and ethics of our society at large to create a new culture of political accountability and responsibility? Clearly whatever we have done to date has not worked. The conditions pertaining in the country with regards to the role and responsibilities of opposition political parties as our change agents have not resulted in the change we want to see. Our opposition parties remain disempowered and ineffective in achieving democratic reforms as envisaged by the GPA. This is the reality in Zimbabwe which I think we are ignoring and hoping that time will work for us on the side of change. 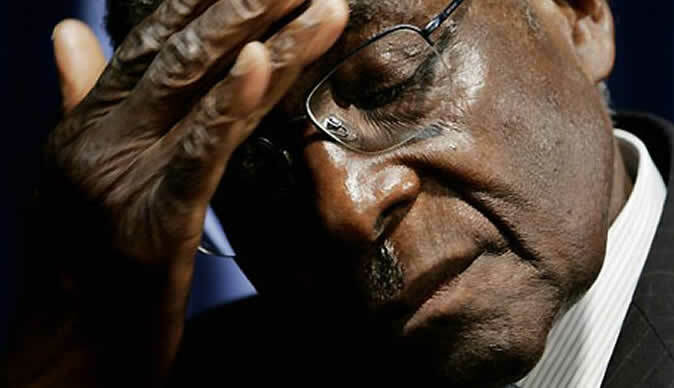 It is futile for us to hope and wait on the assumption that ZANU (PF) will implode or that Mugabe will retire. What if this does not happen? We must find new answers to these questions now and act accordingly as a collective before it becomes too late. Vince Musewe is an economist and author based in Harare. You may contact him on vtmusewe@gmail.com – Source-bulawayo24. 9 100 Children Outside Family Units, With 203 On Streets , 212 In Foster, & 4 708 In child-Headed Families.